Great bars? Spectacular breweries? Sure, Atlanta has those on lockdown. But great coffee shops? Sorry, for that you’re gonna have to go to Seattle, Portland, or New York... psych! 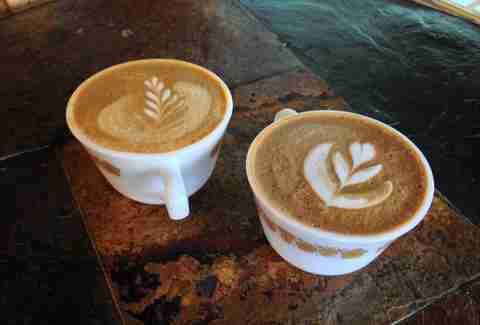 ATL has some seriously delicious cups of joe -- if you know where to look. 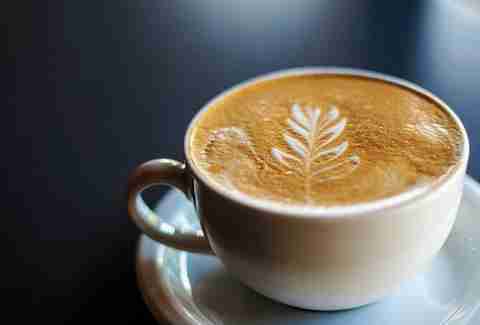 Luckily we do, and have rounded up the best coffee shops in Atlanta just for you. 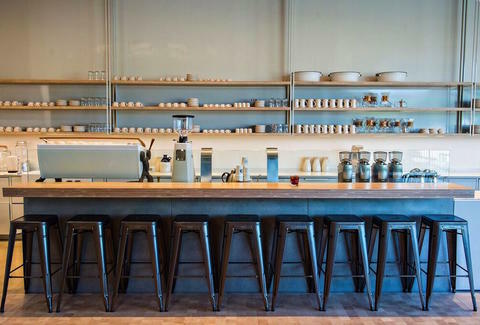 The open, cheerful modern design is sleek and stunning without being pretentious, and the wares are just as special: the shop has a manual pour-over bar, where you can get 16oz servings of brewed-to-order coffee varieties. 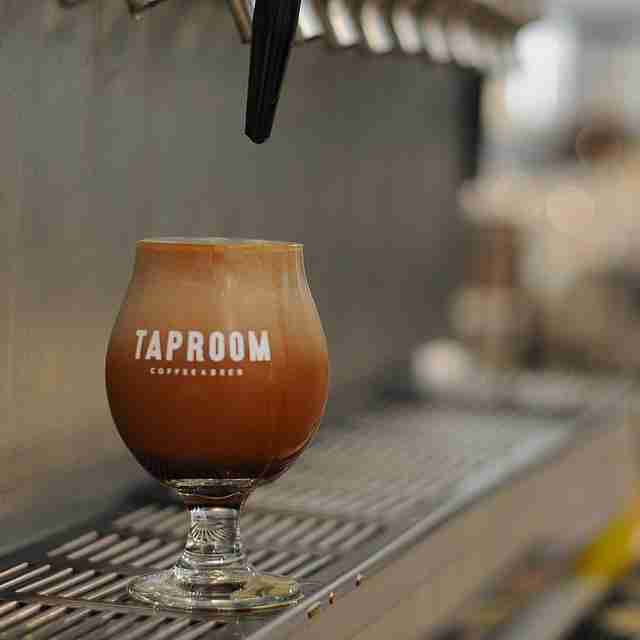 Even cooler, it recently unveiled its nitro Beerspresso, which is a nitro coffee-beer hybrid beverage that will blow your mind. 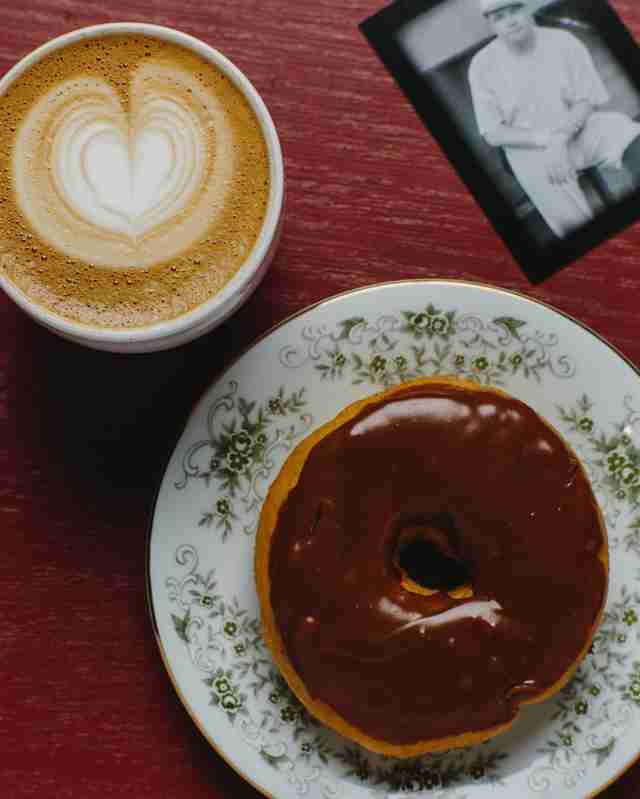 While this beloved national chain is renowned for its legendary gooey, sweet treats, Atlanta’s first Cinnaholic store is also gaining serious coffee cred, too. 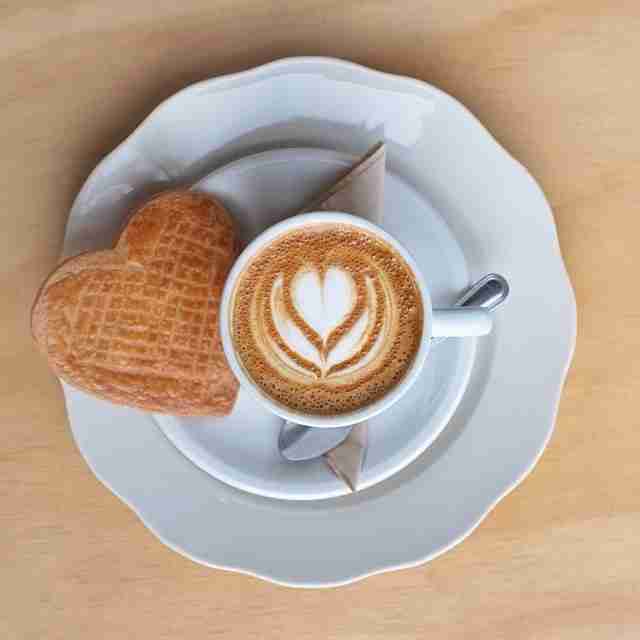 Using local Octane coffee beans helps, of course, but the deft baristas pull perfect espresso shots -- and excel at helping you pick the perfect drink to counteract the blissful sugar coma you’ll find yourself in. Oh, and the coffees and pastries are both available with vegan options, so you can comfortably take that vegan cutie here for a date. Turning a former auto garage into a coffee shop clearly wasn’t enough for the owners of Hodgepodge Coffee who, in addition to offering a great selection of fantastic Batdorf & Bronson coffee drinks and delicious eats, also have a wide variety of totally cool, unique stuff like legit local art (including prints and jewelry) and books for sale. Until it opened shop in Atlantic Station, Land of a Thousand Hills was only known to ATL’s hardest coffee drinkers. These guys are local roasters who source their beans from Rwandan farmers to help alleviate poverty in the country. The industrial, light-filled space has multiple coffee options, as well as craft beers, wines, and small plates. 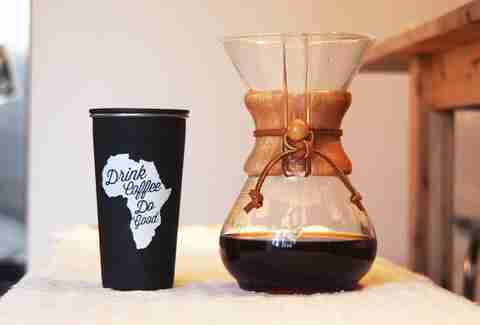 The motto is “Drink Coffee, Do Good,” and this place makes it easy to follow these instructions. This friendly neighborhood spot offers premium Intelligentsia coffee beans, which are used to fuel a slew of machines, including an impressive space-age espresso machine. If you need more proof this place rocks, peep the steady blend of millennials, business folks, and families consistently lining up for their caffeine fix. Oh, and there's iconic R. Land artwork decorating the place that's available for sale. Atlanta has Empire State South chef and Top Chef judge Hugh Acheson to thank for Ponce City Market’s only coffee shop. This kiosk cranks out coffees using local Intelligentsia beans with globally inspired flavors, the best of which is the coconut dipper, an exotic, deliciously unique drink reminiscent of Arabian rose candies. Be sure to check out the small-but-mighty menu, too -- the avocado toast is especially good. The bagels? People claim they’re better than those in NYC. Indoor and outdoor seating? Also great. Brilliantly colorful and weird mural on the wall? Yep, great. The greatest thing though? The Brown Bear, an iced drink made with coffee from Atlanta’s Batdorf & Bronson roastery that's blended with silky chocolate milk. On beautiful days, you’ll use this spot as a starting and ending point for a wonderful stroll along the Beltline. Inside, you’ll find ample seating, strong Intelligentsia coffee drinks, beer and wine, and great food in a warm and inviting environment that includes an intimate outdoor patio. Taking up shop in the space formerly occupied by Aurora, Press & Grind is a coffee-lover’s haven. The novella-length menu brims with caffeinated options as well as eats for everyone -- paleo, vegan, pesca-pescatarian, carnivores, amoebas. While everything is delicious, you don’t want to miss the pecan latte. Made with fresh pecan milk (yes, pecan milk), this thick, rich brew is addictively good -- plus, it’ll give you the fuel you need to sail through the rest of your day, no matter how many meetings are on your calendar. The barista champs at Octane Coffee take an exacting approach to their coffee creations, sparing no gram when pulling espresso shots or brewing cold brew. The homemade caramel sauce and exquisite espresso in the caramel latte make it the drink to get -- unless you want something from the full bar, that is. This hidden gem is actually located inside a gated apartment complex, which makes getting there a bit tricky. 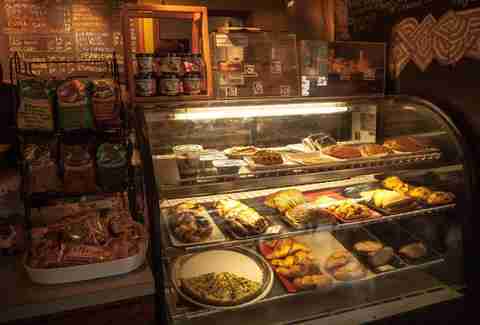 Once inside this spacious shop, though, you’ll find an oasis that serves coffee drinks, teas, and desserts. Although the inside is relaxing and ambient, be sure to grab a seat on the deck and enjoy the beautiful sights and sounds of the Chattahoochee River gurgling by. Settled into the base of the Elan Westside apartments, this New Orleans-born chain is not only one of the most beautiful (and enormous!) coffee shops we’ve ever seen (it’s like an apothecary of coffee), it also has heavily caffeinated drinks to get you lit without the hangover. Standouts include the iced honey cinnamon latte and the standard Chemex drip -- both simple, solid, and slurpable -- especially when paired with a slice of tea cake or savory quiche. Brook Bolen drinks entirely too much coffee and generally only stops once she starts levitating. Find her: @brookbolen.